Ivan is the Referee Coordinator and a Manager at SoccerZone Live Oak. He was born in Los Angeles, California. He played soccer in the Chivas Academy until he moved to La Vernia, Texas at the age of 12. Ivan's customer service and critical thinking skills were honed by taking on various roles at his family restaurants since the age of 13. Ivan provides an positive attitude and unrivaled work ethic that benefits every SoccerZone customer. 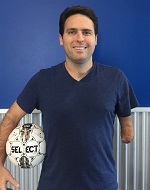 Darren's passion for indoor soccer started in Dallas, Texas as a young boy watching Tatu play for the Sidekicks. After moving to North Carolina, his aptitude for kicking balls landed him a football scholarship at Wofford College before he moved to Austin to attend the University of Texas School of Law. 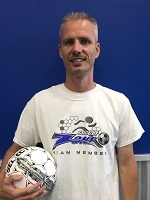 Darren decided to forgo a legal career soon after opening SoccerZone South Austin in 2008 and then SoccerZone Lakeline in 2013. Bringing SoccerZone to San Antonio is something Darren worked towards tirelessly for two years. October 2015 saw not only the Grand Opening of SoccerZone Live Oak, but also the emergence of SoccerZone San Antonio West (formerly Aztec Indoor Soccer). David grew up in the area and played soccer starting at 4 years old and continued honing his skills through high school. After high school, David decided to go into coaching where he could teach players about the game he is so passionate about. He has 19 years of coaching experience in both recreational and competitive soccer. 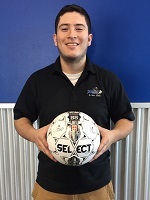 David manages several nights at SoccerZone Live Oak, focusing on customer service, facility clenaliness, and helping provide an overall positive, family-friendly atmosphere. A life-long resident of South Texas, Connie grew up playing and working as a referee in copetitive soccer in New Braunfels along side her father, who played professional soccer in Italy. Besides her experience as a player, Connie has been coaching youth soccer, futsal, and indoor soccer for over 10 years and is currently a licensed youth soccer coach. She also has an educational background in elementary education and special education. Coach Barnes is a skilled professional with a track record of success in youth coaching and training. She is adept at youth development, skill-set training, and mentoring. Coach Barnes is highly motivated, hard working, reliable, and understands the importance of teamwork. Coach Barnes has 18 years of coaching experience. She has coached children from ages four to 18 years old and has worked to prepare high school athletes for collegiate soccer careers. Coach Barnes is licensed through the U.S. Soccer Federation and is currently the Head Coach at St. Luke's Episcopal School. She believes strongly that as a coach, she has a great opportunity to not only teach the aspects of the game but also help instill a lifelong passion and love for the game of soccer.